Ok guys here is my situation, sry it's so long but must explain all. 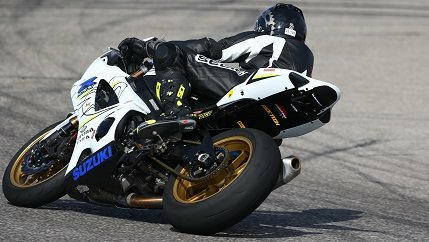 I ride an 03 gsxr 600, I'm not new to this bike as I have completely replaced the motor myself and most all mechanical work. Last fall I had an electrical problem that I'm finding I still do I have replaced literally everything all new sensors, new battery starter relay, you name it I've replaced, even a brand new oem wire harness. So I replaced everything put her harness in and I go to fire it up and nothing it's like the battery is dead , I tried to look for codes with the dealer mode trick and I get nothing. I don't have headlights but I have tail lights I don't hear the fuel pump prime nor does the starter even engage. The bike ran perfect prior to all of this. I'm at a complete loss, I have researched everything and can't find anything, any advice or ideas will surely help . It sounds like you did to this bike what you did to your 750 five years ago. You never mentioned what you did to fix the problem then, but I guess you should do the same thing. Oh no that happened to be the main fuse under the seat, and no this time it's different I have power . It might be my handle bar switches, I put some after market ones on that I think aren't compatible. Otherwise I have no idea so I ordered those hoping it fixes my problem. So reading between the lines, you do have power to the cluster. What do you mean by "get nothing" when you put it into dealer mode? The starter will crank the engine with power from the kill switch to the relay and ground for the relay through the clutch safety switch. You say the pump does not prime so that may be another issue. I bought a new clutch safety switch still waiting for it's arrival. But I should still have signals and a headlight I have a brake light just no signals and headlight. When you say ignition switch do you mean where you put the key into. Its brand new as well except I did get a bad brand new one I just happen to have a new one I can try that. I did get my new switches but I'm waiting for a new clutch safety switch as well I haven't replaced that yet. It should be here tomorrow .